With my busy schedule in the construction industry I rarely find the time and solace to escape to the Wellington City Library (almost just across the street) where I get to put the ever ringing cell phone on silent and peruse the small selection of International Garden magazines. Yesterday was one of these rare opportunities. The latest BBC Gardens Illustrated Magazine displayed at the library is stamped as received 28th March 2011, and it is the February 2011 Edition, the Cover feature is "100 Must Have Garden Plants" apparently chosen by top designers and gardeners. 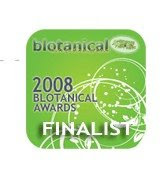 Quickly, I thumbed through the article only to find that sadly, Irises of any varieties or species did not make the cut. Somewhat perplexed at this mistaken omission of the great species, and not unreasonably thinking that Irises would have taken 5 out of the 10 top placings, I continued to flick through the magazine when a superb photo of a well known Iris caught my eye. It was the intriguingly-patterned flower 'Katharine Hodgkin',a reticulata Iris hybrid of I.winogradowii X I.histrioides,and to my surprise a full plant profile feature titled "Winter Iris". Whilst there still may be time to get to a Garden Centre and purchase some reticulata or histrioides Iris bulbs in New Zealand, Northern Hemisphere readers will have to wait until autumn to purchase bulbs or plants. In New Zealand should you want to get your hands on this Edition of "Gardens Illustrated" it is the current issue available at your Newsagent and I had no trouble yesterday, purchasing a copy from 'Borders Book Store.' 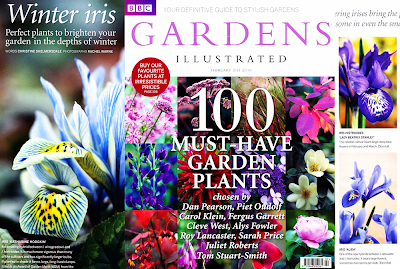 Northern Hemisphere readers and for that matter Southern Hemisphere readers you can all order 'Past Issues' or Subscribe to "Gardens Illustrated" by clicking your mouse here or the image above. With monthly circulation figures of 34,033 copies, sold in more than 70 Countries, and a monthly readership of approximately 180,000, from me its a big Hat Tip to "Gardens Illustrated" for its very sophisticated promotion of Irises to the Greater Gardening public. Well done!! !